There are multiple options to implement the acquisition of a business. The purchaser or acquirer could purchase the stock of the target corporation, or the assets of the target corporation. If the stock of the target corporation is to be purchased there are multiple options and variations by which the stock can be acquired. The article below will discuss some of the common stock acquisitions that are available for a corporation to acquire another. The direct purchase of stock from the target shareholders may be the simplest structure and means by which to implement a stock acquisition. Through a direct stock purchase, the acquirer will purchase stock of the target from the shareholders of the target for an agreed upon purchase price or consideration. When the target is a closely held corporation, the acquirer can work out and negotiate the deal directly with the shareholders of the target corporation. When the target corporation is a publicly held corporation, the acquirer could purchase stock via the open market, or produce a cash tender offer (or exchange offer) for the purchase of the target corporation’s stock. A tender offer would be an offer to purchase shares of the corporation for cash, in comparison to an exchange offer, which is an offer to exchange stock, securities or other consideration. Certain (and different) securities laws must be considered when weighing tender offers versus exchange offers. Often one or both parties will wish for the transaction to be a tax-free exchange under the Internal Revenue Code. It is important to note that for the exchange to be considered under Internal Revenue Code Section 368, a tax free exchange of stock would require the consideration paid to the target shareholders consist solely of the voting stock the acquiring corporation, or the parent of the acquiring corporation. See IRC section 368(a)(1)(B) and related treasury regulations for more information regarding a tax-free exchange. A direct stock purchase may not always be feasible to consummate an acquisition, especially if the target corporation is publicly held. When publicly held, each shareholder must decide whether to sell their shares via the public market or via the tender or exchange offer. The odds may be stacked such that one or a few number of shareholders do not wish to sell, or perhaps are even unaware of the offer to dispose of their shares. There is an approach that can legally require the shareholders to sell known as the reverse triangular merger. The benefit of the reverse triangular merger is that conversion of the shares occurs via operation of law, and is binding on the target corporation’s shareholders. Thus, the purchaser or acquirer can legally force and guarantee the acquisition of the shares. The reverse triangular merger would work as follows: Purchasing, Inc. wants to acquire all of the shares of Targeted, Inc., which is publicly held. Purchasing Inc. and Targeted, Inc. have agreed upon the consideration to be paid and the other terms and conditions. Purchasing, Inc. would form Subsidiary, Inc. and Subsidiary, Inc. would be merged with Targeted, Inc., with Targeted, Inc. as the survivor. Via operation of law, the stock of Subsidiary, Inc. is converted to stock of Targeted, Inc. and Purchasing, Inc. as the sole shareholder of Subsidiary, Inc. would receive all of the stock of Targeted, Inc. The former shareholders of Targeted, Inc. would receive the agreed upon consideration. Further, Purchasing, Inc. is now the sole shareholder of Targeted, Inc. Under the context of controlled foreign corporations, a U.S. shareholder is defined as a U.S. Person who owns or is considered as owning 10% or more of the total combined voting power of all classes of stock entitled to vote of a foreign corporation. Does this language mean that constructive ownership is considered when determining whether the applicable person is a 10% owner and thus a U.S. shareholder? The answer is yes! Stock that is held directly, indirectly and constructively with the meaning of Internal Revenue Code Section 958 is taken into account when determining ownership. Because of this rule and the application of attribution rules, a U.S. shareholder of shareholders are unable to avoid U.S. shareholder status by distributing stock of a foreign corporation to related parties. For example, if Corporation 1 spread ownership equally amongst 20 other U.S. affiliates within an affiliated group, and thus each corporation would own 5% of the stock of Corporation 1, U.S. shareholder status could not be avoided for each shareholder because of the attribution rules, and each corporation would be treated as constructively owning the shares. It can also be important to remember that the attribution rules, attribute the stock on the value of the shares owned and the not the voting power. For example, assume stock was held by John in a corporation and the stock held was 10% of the votes but 25% of the value. The value would be considered as owning 25% of the stock held. What about ownership in a foreign partnership, foreign trust or even a foreign estate? Do the controlled foreign corporation rules in Subpart F apply to these foreign “entities?” The answer would be no because a foreign entity must be a corporation to fall within the definition of a controlled foreign corporation, and therefore, Subpart F would not apply as a result of ownership by a United State person. Thus, we must ask the question, for purposes of a controlled foreign corporation, how is a corporation defined? One should reference Internal Revenue Code Section 7701(a)(3) per the regulations when determining whether or not a foreign business or entity is in fact a corporation within the definition of the code. Prior to 1997 a facts and circumstances test applied reviewing continuity of life, centralized management, limited liability and free transferability of assets whereby now, under 7701(a)(3) regulations, there are elective rules for classifying most foreign entities. These classification matters could be akin to certain options, often referred to as “check the box” regulations. For more information regarding check the box regulations, see 910 T.M. You can contact a tax attorney and business attorney at The McGuire Law Firm to discuss your tax & business related matters. The McGuire Law Firm has offices in Denver, Colorado and Golden, Colorado for your convenience and offers a free consultation to all potential clients. FinCEN is the Financial Crimes Enforcement Network. The goal and objective of FinCEN is to monitor financial institutions through regulations that require certain record keeping, record maintenance and reporting. Because many crimes such as illegal drug trafficking, terrorism and others involve large sums of money and the use of financial institution, FinCEN and other law enforcement agencies feel the record keeping and reporting is invaluable in fighting crime. John McGuire is a tax attorney with The McGuire Law Firm and has prepared the video below to provide additional information regarding FinCEN. You can contact The McGuire Law Firm to speak with a tax attorney in Denver, Colorado or Golden, Colorado. What is the Bank Secrecy Act? The Financial Recordkeeping and Reporting of Currency and Foreign Financial Transactions Act of 1970, is generally referred to the Bank Secrecy Act (BSA). The act can be found at 31 U.S.C. 5311. The purpose of the act is relatively simple, that being to require financial institutions in the United States to maintain a certain level of records and recordkeeping, and require the filing of certain reports regarding currency transactions relationships with certain customers of the financial institution. Generally a bank or financial institution complies with the BSA through the filing of Currency Transaction Reports, also referred to as CTRs and Suspicious Activity Reports, also referred to as SARs. In addition to certain record keeping requirements, the Bank Secrecy Act also requires, in general, a financial institutions records be sufficient enough to allow for the reconstruction of a customer’s account if such reconstruction is necessary. Therefore, an audit trail or paper trail can be constructed if needed, which as reported by certain federal agencies, has been very useful information and vital in criminal investigations as well as other tax and regulatory investigations and cases. There are two parts to the BSA those being: 1: Financial Recordkeeping and 2: Reports of currency and Foreign Transactions. Financial Recordkeeping authorizes the Secretary of The Treasury to issue regulations that will require the maintenance of certain records by insured financial institutions. Thus, think about the FDIC notices when you walk in your bank. These types of financial institutions that are insured are required to maintain a certain level of records. Reports of Currency and Foreign Transactions allows the Department of Treasury to regulate and thus require the reporting of certain transactions. You may have heard that banks are required to report transactions in excess of $10,000 and in many cases this is correct and what Part 2 of the BSA in terms of currency transaction reporting is associated with. The purpose of the BSA is thus to require maintenance of records and reporting of transactions that enable and aid investigations and examinations of a wide variety of criminal activity from tax evasion to money laundering that may associated with illegal drug trafficking and/or terrorism. The idea is that if certain records are maintained, and certain transactions reported, these records can be used to investigate and examine certain individuals and track certain criminal activity. This makes a lot of sense. The paper trail left by money can often lead to the individuals responsible for crime. The majority of criminal activities can create and lead to large sums of money, and generally require a certain amount of money. Thus, finding the source of this money can assist law enforcement. Other acts and regulations have expanded and thus strengthened the scope of the Bank Secrecy Act. For example, please see the Money Laundering Control Act of 1986, the Annuzio-Wylie Anti-Money Laundering Act of 1992 or the Money Laundering and Financial Crimes Strategy Act of 1998. This article has been drafted by John McGuire, a tax attorney in Denver, Colorado at The McGuire Law Firm. Mr. McGuire’s practice focuses on taxation matters with individuals and businesses, and tax representation before the Internal Revenue Service and other taxing authorities. 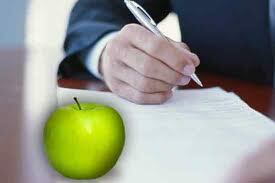 Mr. McGuire also works with businesses regarding their transactional matters. Many businesses in Denver are required to collect and pay sales tax, but many business owners have questions regarding sales tax matters. The article below has been prepared to provide additional information regarding sales tax matters in Denver County. First and foremost, when is sales tax imposed in Denver? In Denver, sales tax will be imposed on the purchase price for retail sales, leases and rentals of certain tangible personal property. Further, some services can be taxable that are purchased or performed in Denver or if delivered, used or stored in the county. Thus, it begs the next question, what services are taxable? The following services could be taxable, but please note, the list below is not all inclusive of the services that could be taxable. What if a business is not located in Denver but receives business from Denver? Does a business outside of Denver need to collect and pay the Denver Sales Tax? If a business is licensed outside of Denver, the business may be required to collect and remit the Denver Retailer’s Use Tax on sales in Denver that would be taxable Denver retail sales. These applicable activities could include performing an activity in Denver in connection with the sale or lease of tangible personal property. What sales tax is charged if delivering items outside of Denver County? You should generally charge the applicable tax for the location you are delivering the item. You should also check to see if any type of license is required for the location, or any other fee required. What food is taxed and what food is exempt from sales tax? When you purchase food in Denver County that is prepared such as in a restaurant, or when food is ready to eat, sales tax will apply to the purchase. Food that is purchased for domestic consumption in your home can be exempt from sales tax. Does sales tax apply to the sale of alcoholic beverages such as beer and wine? Yes, sales tax always applies to the sale of alcoholic beverages. What is a home rule city? A home rule city, which is what Denver is, elects to collect and administer their own sales tax, as opposed from another taxing authority such as the state department of revenue. John McGuire, a local tax attorney in Denver and Golden Colorado prepared the above article. You can contact John by contacting The McGuire Law Firm. A free consultation with a tax attorney is provided to all potential clients. If you are being audited by the IRS, the IRS may request that you sign Form 872, which extends the amount of time the IRS has to assess you additional tax. In essence, you are agreeing to extend the statute of limitations the IRS has to assess you additional tax. Whether or not you agree to extend the statute may depend upon the facts and circumstances of the audit and tax period at audit. If you are being audited by the IRS, it may be best to contact a tax attorney or tax professional to discuss the matter. You can speak with a tax attorney in Denver, Colorado by contacting The McGuire Law Firm. The video below has been prepared by a tax attorney to provide additional information regarding Form 872. The McGuire Law Firm has successfully resolved IRS audits for many individual and business clients. What is collateral? Typically, collateral would be property pledged as security for a loan or note. For example, if a bank loaned me $25,000 I may use a car or house as collateral to secure the loan. The video below discusses collateral. You can contact The McGuire Law Firm to speak with a tax attorney and business attorney in Denver, Colorado or Golden, Colorado. What is a passive activity loss? This can be a common question when individuals invest as a passive investor or perhaps for individuals that own and rent real estate. Your passive activity loss is would generally be to the extent your passive activity deduction exceed passive activity gross income. Moreover, this passive activity loss will generally be disallowed, although some exceptions such as the $25,000 special allowance for passive real estate activity are allowed. So what happens when your passive deductions exceed your passive income and you have a passive loss? How are your disallowed passive losses allocated? When all of your passive losses or part of your passive losses are disallowed for the tax year, a ratable portion of the loss from each of the passive activities is disallowed. This ratable portion of your passive losses will be calculated by multiplying the passive activity losses that are disallowed for the year by the fraction that is obtained by dividing the loss from the activity for the applicable tax year by the total sum of losses for the applicable tax year from all activities that had a loss for the year. You can use Form 8582 to calculate the ratable portion of the loss for each activity in which the passive activity is disallowed. To illustrate the above, we can use example. Let’s assume that John has an interest in three passive activities. Two of the activities have losses, ($10,000) and ($15,000), while the other interest has a gain of $5,000. The $20,000 passive loss for the year is disallowed, and thus a portion of the losses from the two loss activities is disallowed. The disallowed portion of the losses would be calculated as follows: $20,000 x $10,000/$25,000 and $20,000 x $15,000/$25,000. When all or a portion of a passive loss is disallowed, a ratable portion of each of the passive activity deductions, other than a deduction that would be excluded from the applicable activity is disallowed. Thus, it is important to define and understand what would constitute an excluded deduction. An excluded deduction would be defined as a passive activity deduction that is taken into account when computing your net income from an item of property for a taxable year where an amount of the taxpayer’s gross income from the property is treated as if it is not from a passive activity. When identifying disallowed deductions or excluded deductions, you do not always need to account for a separate deduction. Form 8582 can also be used if you have deductions for a passive activity that needs to be identified separately. f you have passive losses and have tax questions related to these passive losses, you can speak with a tax attorney and business attorney at The McGuire Law Firm. You can schedule a free consultation with a tax attorney and business attorney in Denver, Colorado or Golden, Colorado. Subpart F of the Internal Revenue Code deals with controlled foreign corporations (sometimes referred to as a CFC), and does not necessarily apply to every United States person or business entity that owns stock in a foreign corporation. Subpart F applies to United States shareholders of controlled foreign corporations. See Internal Revenue Code Section 951(a). Thus, as a shareholder of a controlled foreign corporation, Subpart F may apply to you or a business you are affiliated with. It is also important to note that the code covering controlled foreign corporations is different than the sections dealing with Passive Foreign Investment Companies (sometimes referred to as a PFIC). The PFIC rules apply to all U.S. owners not just U.S. owners of controlled foreign corporations. An initial issue to consider when looking at Subpart F and controlled foreign corporations is how is a United States shareholder defined? Generally, under Internal Revenue Code Section 951(b) a U.S. shareholder could be defined as a U.S. person who owns, or is considered to own 10% or more of the total combined voting power of all classes of stock of which are entitled to vote in a foreign corporation. Thus, you look at voting power regarding a U.S. shareholder, and a U.S. person is generally defined as a U.S. citizen or resident, or a domestic entity. See IRC Sections 957(c) and 7701(a)(30) regarding the definition of a U.S. person. When determining whether a foreign corporation is a controlled foreign corporation, it is important to remember that only the stock of U.S. shareholders is considered. Generally, a controlled foreign corporation would be a foreign corporation whereby U.S. shareholders own or are considered to own more than 50% of the total combined voting power of all classes of stock that are entitled to a corporate vote or the total value of the stock of the corporation. For “look back” purposes the ownership percentage can be any day during the applicable taxable year of the corporation. To be subject to Subpart F, the shareholder of a foreign corporation must be a United States person, or to be used when determining whether or not the foreign corporation is in fact a foreign corporation. Internal Revenue Code Section 7701(a)(30) defines a U.S. Person as a citizen or resident of the United States, a domestic partnership, a domestic corporation and any estate or trust (apart from a foreign trust or estate). Thus, a U.S. Person as defined by the code does not include nonresident aliens, foreign corporations and foreign partnerships. Thus, Subpart F is really limited to shareholders who are persons and business entities already likely to be subject to taxation by the United States. The above article was drafted by John McGuire, a tax attorney in Denver, Colorado and the founding partner of The McGuire Law Firm. 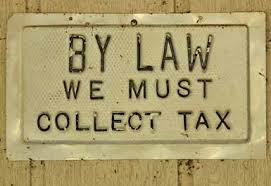 You are welcome to contact The McGuire Law Firm to discuss your tax questions and issues with a tax attorney. When a business is purchased or sold, the acquisition could be through an asset purchase agreement. Under an asset purchase agreement, the actual assets of the business are purchased. This could include the inventory, accounts receivable, furniture, equipment, fixtures and intangible assets such as copyright or trademark rights, or patent rights & licenses. An asset purchase also has tax implications to both the seller and purchaser, which you may want to discuss with your business attorney and/or tax attorney. The video below has been prepared by a business attorney and tax attorney from The McGuire Law Firm. If you are considering selling your business or buying a business, consult with a business attorney or tax attorney regarding your specific issues. The McGuire Law Firm provides a free consultation for all potential clients.